Our Baltimore regional headquarters is located at 25 S. Charles St. Baltimore, Md. Locally, our customers bank with us at 70 offices across four counties, including: Baltimore, Baltimore City, Cecil and Harford County, Md. 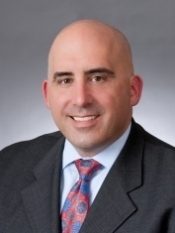 August (Augie) Chiasera serves as Senior Vice President and President of M&T Bank’s Baltimore and Chesapeake regions. Chiasera has worked for M&T Bank for more than 24 years. He participates in a number of community organization boards, including Center Stage, Baltimore Development Corporation (BDC), Baltimore Symphony Orchestra (BSO), the Greater Baltimore Committee, Garrison Forest School, and the University of Maryland Medical System. He serves as board chair of the Economic Alliance of Greater Baltimore.